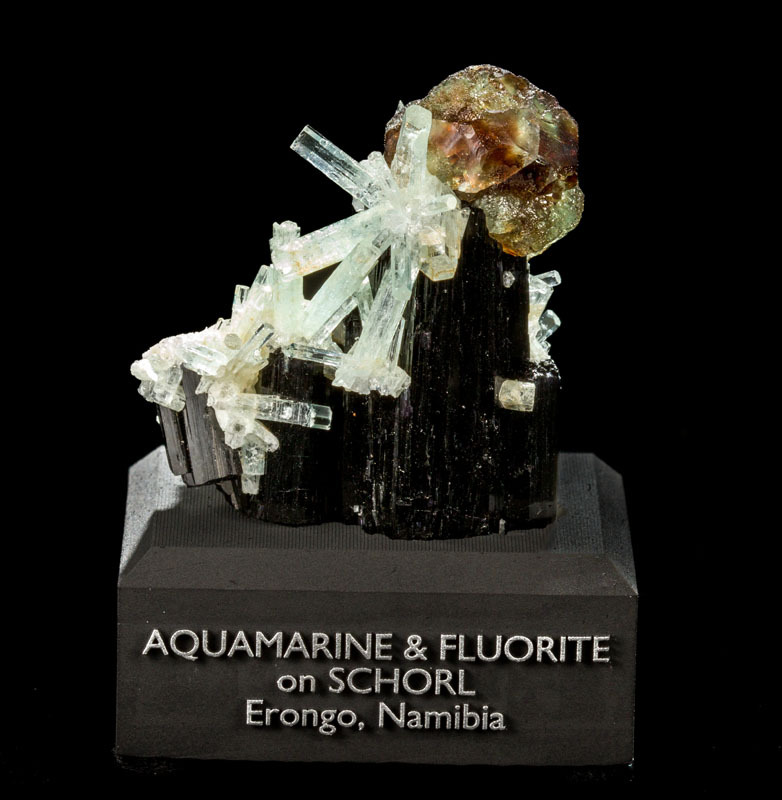 Here is a totally awesome miniature specimen from Erongo! 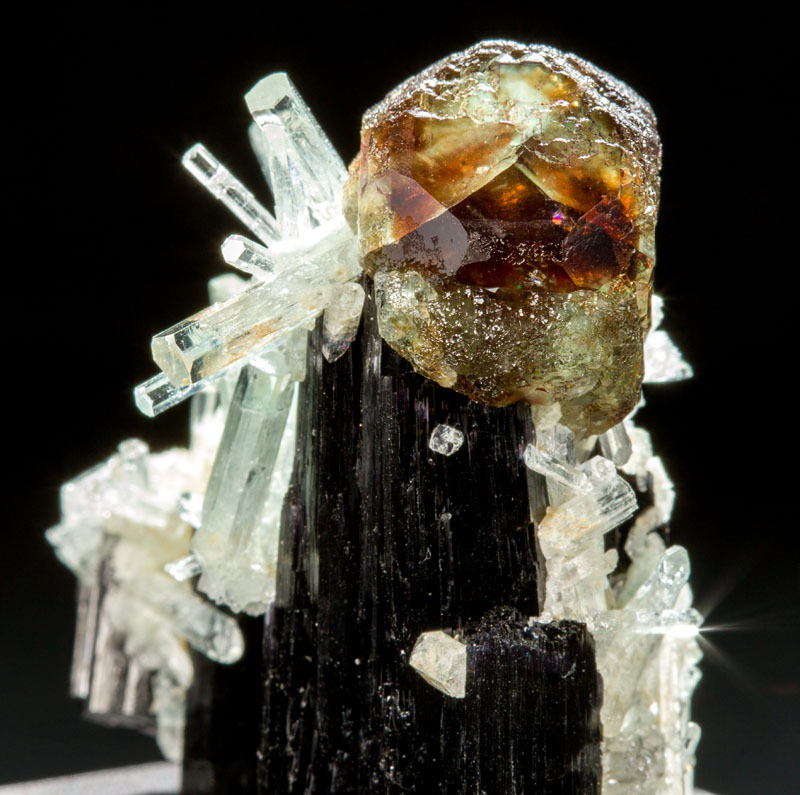 What an incredible combo this is! 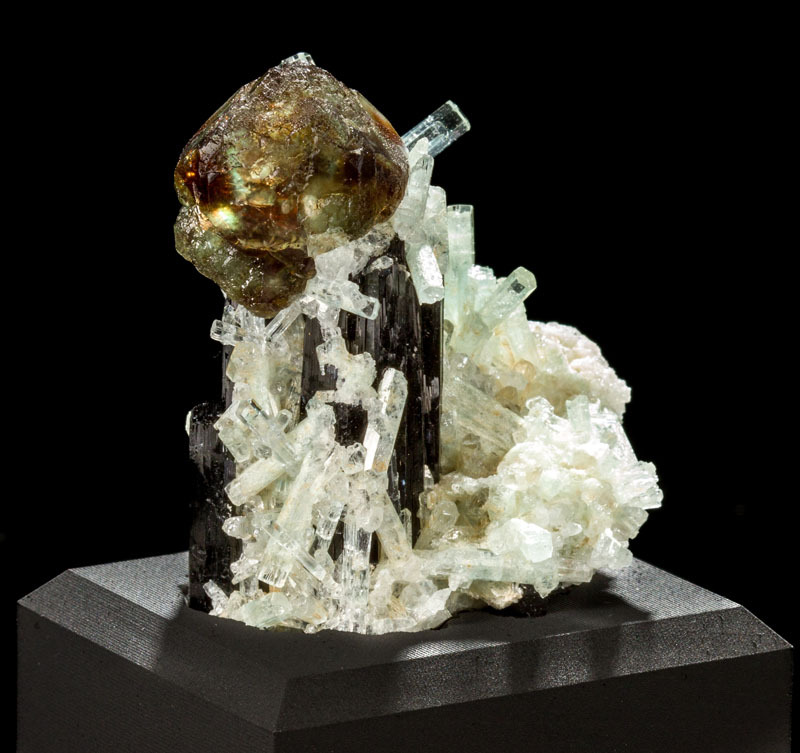 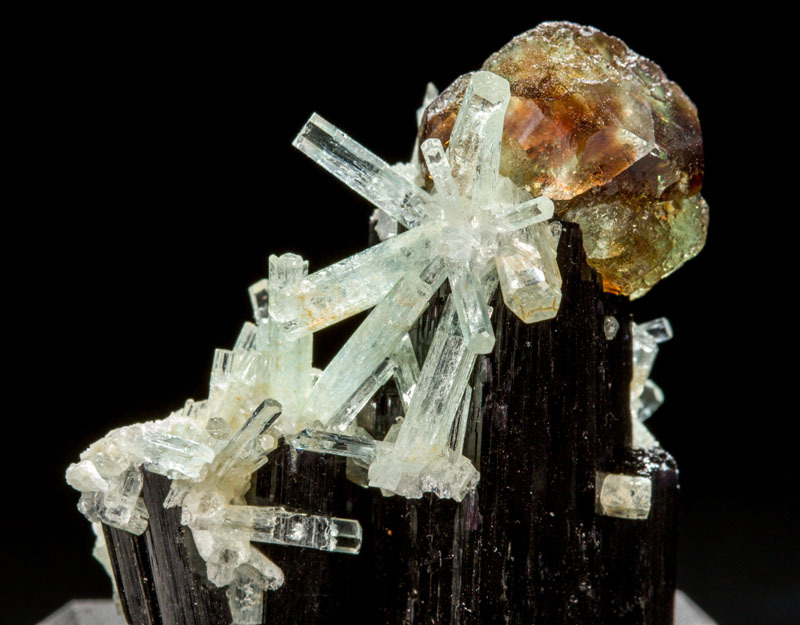 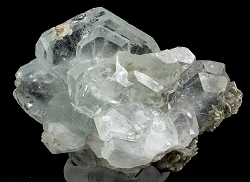 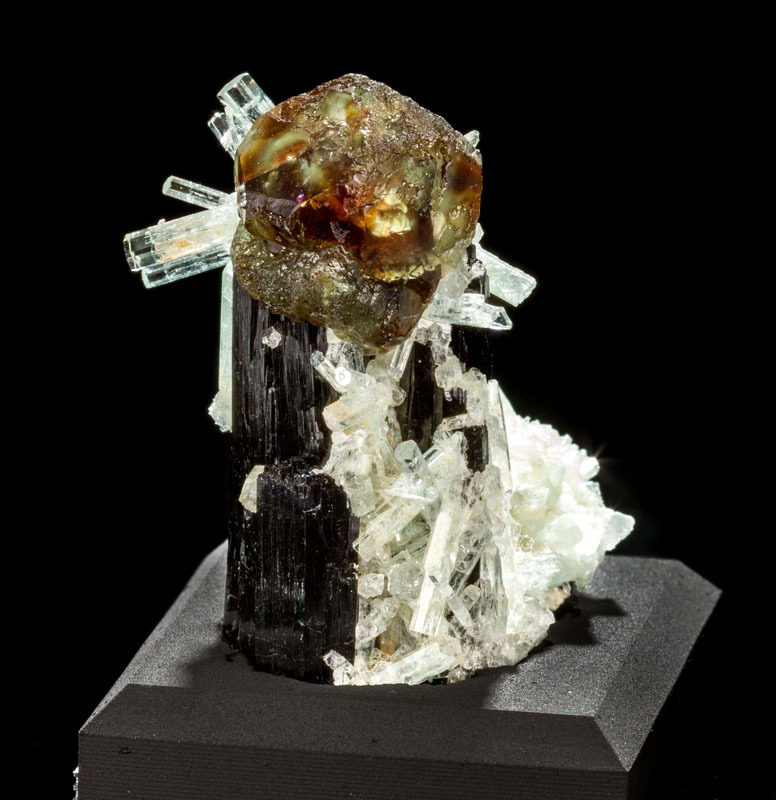 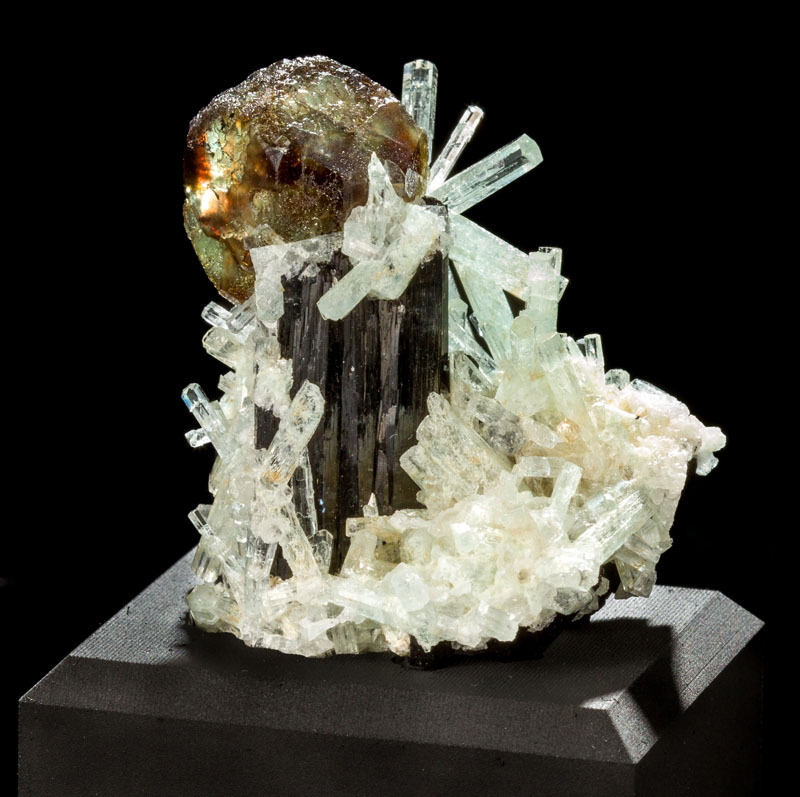 A single ball of fluorite sits atop the black schorl tourmaine which is covered in small, pale, blue-green aqumarine sprays. 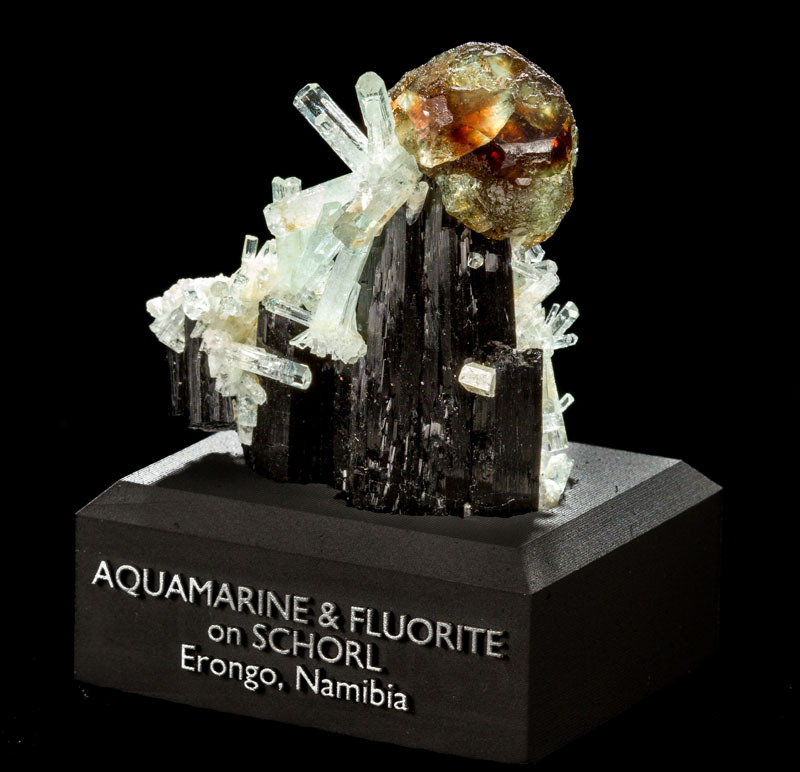 The fluorite ball itself is green with reddish-orange areas inside of it. 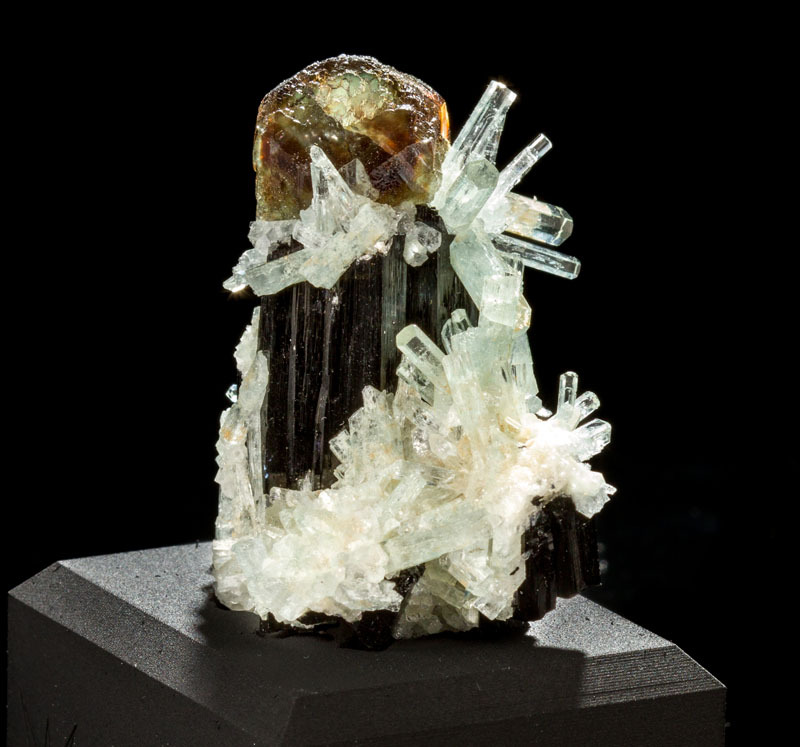 Under incandescent light the red really comes out, but in neutral LED lighting it looks as it does in these photos. 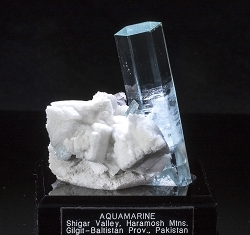 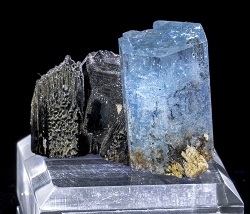 The mound of aquamarine on the right is actually covering up several additional schorl crystals under it. 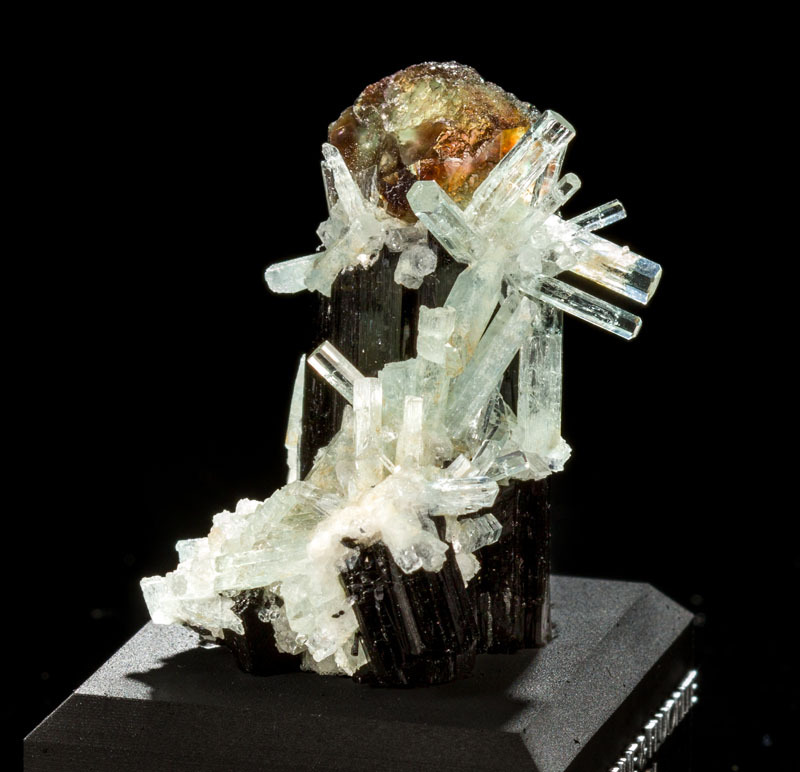 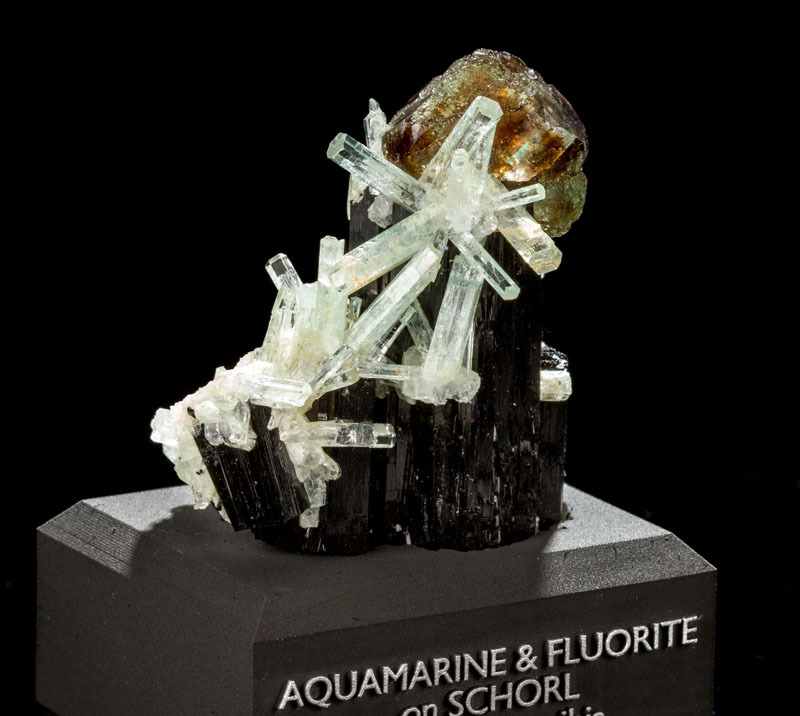 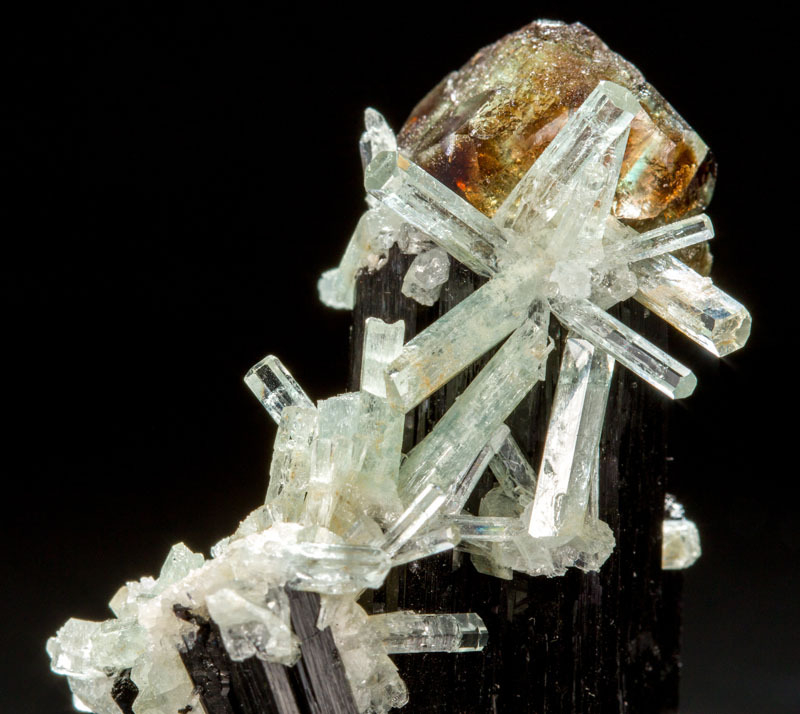 The tourmaline and fluorite don't appear to have any damage, but there are obviously some broken aquamarine crystals, especially the smaller ones near the bottom. 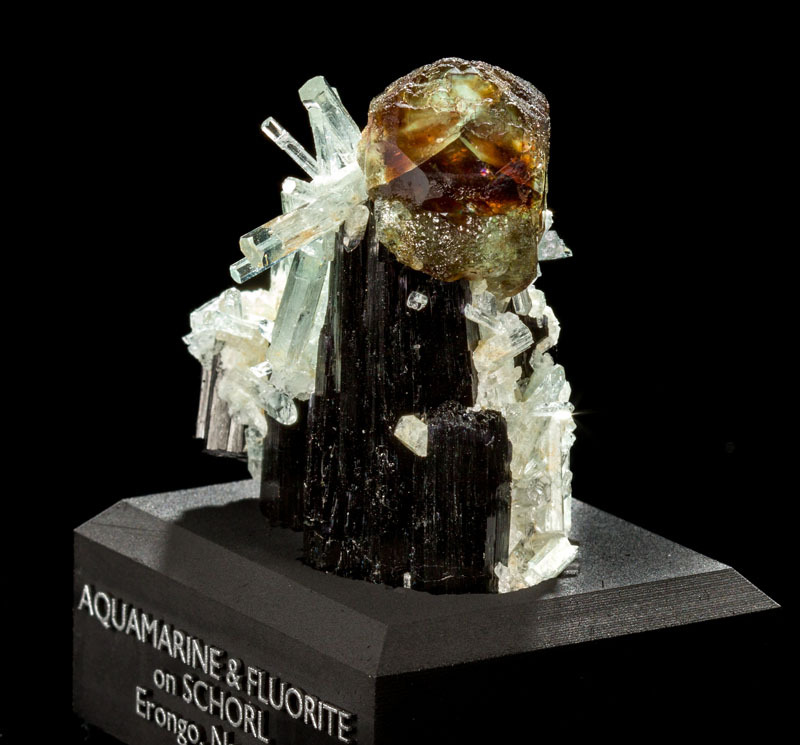 The main spray near the fluorite ball, however, is in good condition.